WASHINGTON – Consumers Union, the policy and advocacy arm of Consumer Reports, today asked the Consumer Financial Protection Bureau (CFPB) for a full investigation into the massive security breach at Target Corporation, which may have compromised more than 40 million credit and debit cards. U.S. Sen. Charles Schumer (D-N.Y.) is demanding a federal probe to reveal how the breach occurred and what steps Target is taking to prevent another breach in the future. Consumer Reports has tips for helping consumers protect their identity in the wake of the breach on its website here. 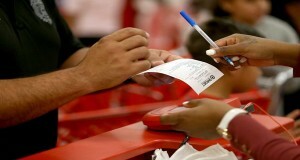 CU is encouraging consumers to take advantage of the annual, free credit reports available at AnnualCreditReport.com if they used credit or debit cards to purchase items at Target between November 27 and December 15 this year. Federal law guarantees that consumers can obtain a free credit report from each of the three major credit reporting companies every 12 months through AnnualCreditReport.com. Consumers can find more information about how to protect themselves from security breaches by visiting the Consumers Union web site DefendYourDollars.org. Consumers Union, the advocacy and policy arm of Consumer Reports, strongly recommends that the Consumer Financial Protection Bureau investigate the recent Target Corporation security breach. We also recommend that the CFPB look at ways to minimize the impact of the breach on consumers. Last week, we learned that hackers were able to tap into the Target Corporation credit card/debit card processing systems obtaining account and personal information of its in-store customers. The Target data breach is the second largest breach in U.S. history affecting over 40 million consumers. Consumers’ stolen account information may already be flooding the black market. It could take consumers considerable time to secure new payment methods. Just yesterday, Senator Schumer called on the CFPB to launch an investigation of the security breach to reveal how the breach occurred and what steps Target is taking to prevent another breach in the future. He is demanding a transparent federal probe that reveals full details to the public and results in recommendations for how all stores can keep shoppers’ credit card information safe. Consumers Union strongly supports Senator Schumer’s call for a full investigation and public disclosure of what lead to the Target security breach. Providing full disclosure of security breaches to the customers and the public is critically important. It will enable consumers to take appropriate steps to protect themselves, and provide a very strong incentive for retailers and financial companies to prevent breaches and computer hacking from occurring in the first place. Consumers need to be able to shop with full confidence that their private financial information will be protected and not disclosed to computer hackers and criminals. We are also concerned that in order to protect their financial information, consumers may be targeted by a variety of third parties offering credit monitoring and repair services for unnecessary and expensive fees. We would like to meet with you to discuss ways to better protect consumers from the potential of this added cost and burden. Thank you for your continued efforts to protect consumers in the financial marketplace.